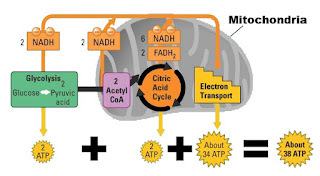 Only small amounts of ATP are produced when one glucose molecule undergoes anaerobic respiration. This is because only glycolysis is completed. 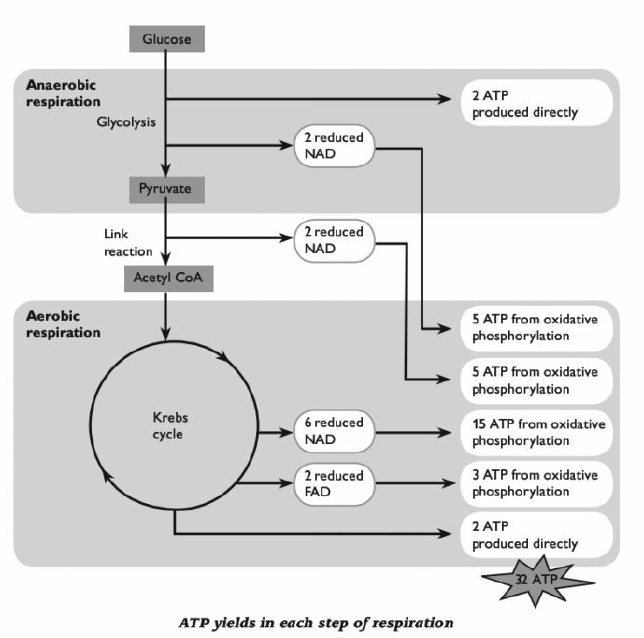 The Krebs cycle and oxidative phosphorylation, which produce most ATP do not take place. The precise number of molecules of ATP produced in aerobic respiratlon of one glucose molecule varies between different organisms and different cells, but is usually between 30 and 32 molecules.